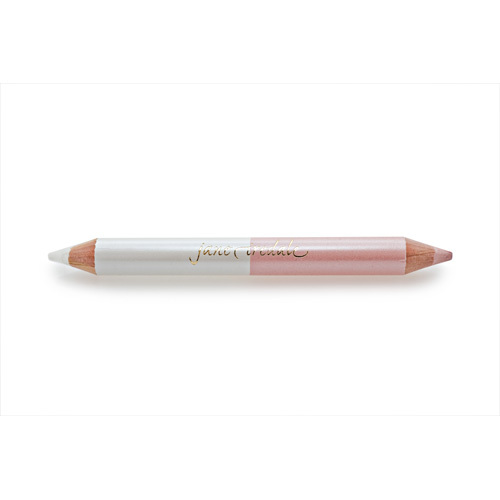 Eye Highlighter Pencil - This dual-ended pencil is white on one end and pink on the other. When you apply the white side to the inside eye ledge, it makes the eye appear bigger and brighter. When you apply the pink side inside the ledge it gives a soft, radiant effect, especially with green eyes, it is a complimentary color. Packaged with its own jumbo sized sharpener.